Nokia has a number of feature phones in its lineup for India, including the 2017 version of the Nokia 3310, but none of these phones support 4G. HMD Global is in talks with various telecom service providers and is planning to introduce a Nokia 4G feature phone in India. The JioPhone has pushed telecom operators and original equipment manufacturers to plan for a low-cost 4G LTE device. Lava, Intex, Idea and Airtel are all working on such handsets, the prices for which can be reduced by not including all the features supported by the chipset in the device. The Nokia 3310 does not support 4G connectivity. Ajey Mehta, India VP for HMD Global, told the Times of India, "Feature phone is a critical category... and we see operators as a partner here. There is sizeable volume in this segment, roughly 10 million devices monthly. Nokia has traditionally been strong here, and there is huge opportunity." 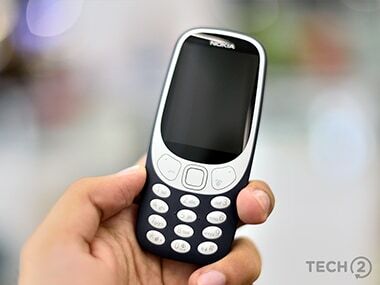 According to a report in TeleAnalysis, when Ajey Mehta was asked if Nokia was planning to introduce a 4G feature phone in India, Mehta said, "4G feature phones are a critical part of our strategy." Nokia has a number of feature phones in its lineup for India, including the 2017 version of the Nokia 3310, but none of these phones support 4G connectivity and as such cannot work with 4G LTE only networks. HMD Global plans to return Nokia to its former glory by making it one of the top smartphone manufacturers in India within the next three to five years. Nokia has recently launched the Nokia 8 in India for Rs 36,999, and has reasonably priced devices with good build quality in the feature phone space as well.